PPC is measurable and trackable – you will see impressions, clicks and conversions based on your business goals. Statistics will show you how your campaigns are performing and what kind of traffic and results they are driving based on your budget. PPC works in conjunction with other marketing channels – PPC and SEO work together as the impressions and opportunities for traffic are often the same audience. PPC provides dynamic targeting – focuses on specific audience demographics, past behaviors and trends. Allows you to reach people who aren’t already in your audience as well as those that have been exposed to your brand. Busy season is approaching – what is the best way to get the phone to ring? Our preferred alliance partners tell us that Pay Per Click generates over 70% of leads across the network. PPC allows you to reach target audiences fast by specifying who will see your ads and you only pay when someone performs an action on your ad. Using PPC will deliver fast measurable results, give you control of the budget, target the traffic that is searching for your services and get on the top spot of Google. Start slow, measure frequently and communicate regularly with your vendor. To calculate your monthly PPC spend, start with the number of jobs divided by the booking rate (65% is the network benchmark) to determine the number of leads and $40 is the Cost Per Lead (network benchmark). This formula will help you determine the PPC budget that is right for your franchise. Healthier Home – Changing to greener cleaning products can reduce the chances of developing asthma, the most common chronic illness across the country in small children. Purer Environment – Greener cleaning methods help reduce pollution to our waterways and the air; minimizing ozone depletion with fewer smog producing chemicals. Green cleaning reduces the amount of energy and water used to deliver results. Quick dry times ensures a reduction of mold. Safer Products – Green cleaners aren’t corrosive and meet strict standards regarding inhalation toxicity, combustibility and skin absorption. Better Air Quality – Reduces strong chemical odors with pleasant natural essential oils. Fewer Antibacterials – Frequent use of antimicrobials can promote bacterial resistance to antibiotics. 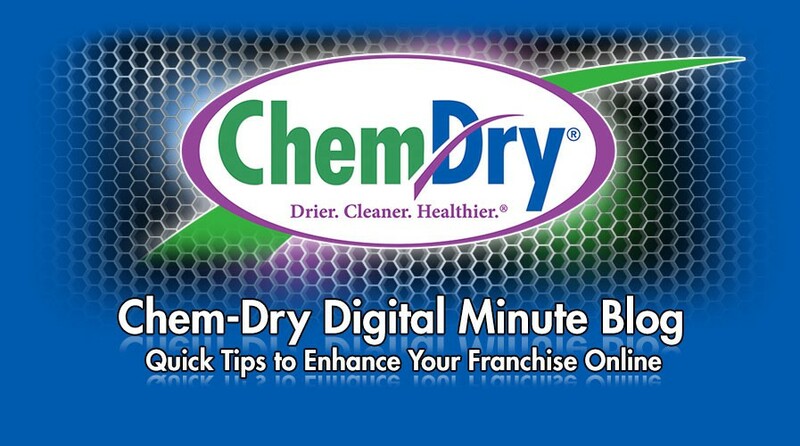 Today, Chem-Dry has over 50 certified Green products. Many small efforts are what add up to making a big environmental impact. Happy Birthday – Earth! Google Changed Reviews – Again! Well, I’ll tell you what’s happened and what you can do about it. Read on! They Took Away My REVIEWS! A recent development in the world of Google Reviews is that from time to time they will do an “audit” of what’s been posted on your account. What does that mean? Well, you might see a dozen or so of your precious 5-star reviews drop off the list over the course of a few days. I know what you’re thinking – “That’s not fair! They’re MY reviews! I worked hard for them!” You’re absolutely right. BUT, from time to time, “The Google giveth, and The Google taketh away.” They will go comb through your reviews and remove any that seem to be less legitimately worded or may reflect a conflict of interest. It’s possible that some of your reviews are getting flagged by competitors, which can cause Google to go through and take a closer look at them. But if a competitor is worried enough to be taking the time to do so, that’s probably a good thing for you! If it were me seeing some of my reviews disappear for a while, I would take a step back from actively requesting them or promoting them – at least on Google. This could be a great opportunity for you to try to get more Facebook or Yelp reviews. If you’re promoting them with customers, you can even tell them that Google is being funny at the moment and you’d love it if they’d help you build up your reputation on the other sites. Another recent change to Google Reviews is that you can no-longer just have one link that works for mobile & desktop (at least, not that I’ve been able to find). Instead of just doing the method I describe here, I’d recommend doing two of them. The desktop method works the same as it always has, but the link you get from a computer will only work on a computer to take customers where they need to simply type the review. To create a link that works on mobile, you’ll have to collect the link on a mobile device. What that means is that you need to follow this process. 1) Search for your franchise by name in your mobile web browser (Usually Safari for iPhones or Chrome for Android devices). It may be helpful to also type the city you’re located in. 2) When you see your Google listing, tap on “Reviews”. This is where things get different for iPhone vs Android. iPhone: Tap the “Share” icon at the bottom of your screen. It looks like a box with an upward arrow coming out of it. On the resulting menu, select “Copy”. Then go to your e-mail app and paste that link into an email to yourself. Once you have that link, you can follow the process I linked above on your computer to create your mobile link. Android: When you’re looking at the Reviews screen for your listing, tap the address bar at the top of your screen. With the LONG web address highlighted (probably in blue), hold your finger on the link and select “Copy” from the menu. Then go to your e-mail app and paste that link into an email to yourself. Once you have that link, you can follow the process I linked above on your computer to create your mobile link. Online Reviews are going to continue to be an integral part of your business success, but you may have to adjust as the process shifts. Don’t freak out if your Google Reviews disappear. Focus on Facebook or Yelp until things settle out. Make sure you get your desktop version of your Google Reviews link. Follow the steps to create a mobile link that you can send to customers via text message. Open rate is simply the number of times your e-mail was opened on a device (be it desktop, tablet, or mobile) divided the number of total recipients you sent to. A good benchmark for open rate in our industry is about 30%. The best way to impact your open rate is by spending time crafting a great Subject Line. Unless your customer is expecting your e-mail, this is the first glimpse they’ll have at what your e-mail is about and they’ll decide whether or not to open it within 2-3 seconds. To get tips on writing great subject lines, check out my article here. Your open rate is a great indicator of how interesting your subject line makes your e-mail appear. If your open rate is in the 10-20% range, you have some work to do. Another great metric to watch is your Click-Through Rate. This is another simple formula of how many clicks your e-mail generated divided by the number of unique opens (meaning, it ignores when someone opens it multiple times and only counts the first time). HOWEVER, sometimes an e-mail service provider will calculate your click rate based on number of recipients rather than opens. I don’t like that method. It’s not unusual to see a click-through rate of 20% or higher if your e-mail is pretty solid. The key thing to remember here is that CTR indicates action being taken by your customer. 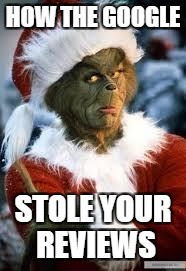 You should never mail them without aiming for some sort of activity. Usually that means you’re trying to solicit a phone call, but you could also aim to have them watch a video, fill out a form, or forward to a friend. Another key is to give your customers a taste of what you’re offering and entice them to click and learn more. That means you don’t spill all the details in your e-mail. Simply allude to how awesome your offer or content is. Something like “During our Winter White sale, we’re offering discounts of up to 60% OFF our cleaning services! Call now for your free estimate.” Admit it. You’d probably call if you got an e-mail with that kind of offer. Now, the unpleasant one. No business owner likes it when a customer unsubscribes. Your unsubscribe rate on e-mail campaigns is the number of unique recipients who clicked on “Unsubscribe” divided by your total recipients. Usually, your “unsub” rate should be under 2%. It’s unavoidable. Every now and then, you’re going to get someone that decides they don’t want to hear from you anymore. It could be because they’ve moved and your e-mails are no longer relevant to them (even though you’re super cool). Just remind yourself that you’re not going to please everyone. You might step over the line every now and then and make someone decide they don’t want an e-mail anymore. That’s okay. You can avoid a high unsub rate by keeping your content helpful and relevant. If you’re always pushing sales or specials, you’re probably going to see a higher rate. BUT, if you sprinkle in a helpful tip every now and then making no mention of promotions, you may be surprised at how well you do. Open Rate – impacted most by the quality of your subject line. Click-Through Rate – every e-mail should be focused on action. 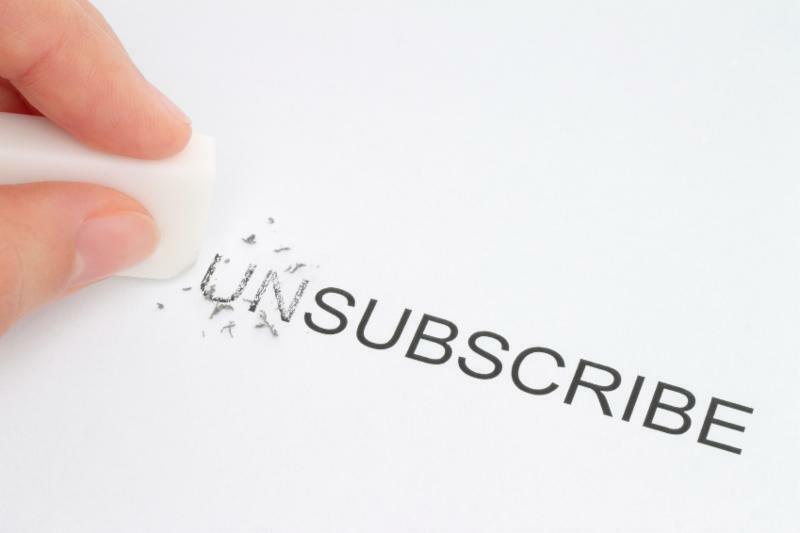 Unsubscribe Rate – you’ll lose a few here and there. Just make sure you’re being useful and you’ll be fine. If you’d like help putting together an e-mail campaign or just want to show me what you’ve done, click here to schedule a 30-minute coaching call with me. Otherwise, you can simply reply to this e-mail or call me directly at 435-890-1055.